Rosemary Nesius Methe, a native of Utica, NY and a longtime resident of Pensacola, FL, passed from this world on Monday, June 25, 2018. Rosemary was born on March 8, 1927, the daughter of John and Mary Martin Nesius. She attended Utica Schools and worked for many years at the Utica State Psychiatric Center. She juggled both work and motherhood, always providing as best she could for her three children. She later married Charles Methe, a WWII veteran. His service and that of her two brothers inspired her to many active years of service to veterans. She was awarded life memberships by both the American Legion Post 1113, Whitestown, NY and the Veterans of Foreign Wars Post 8259, Stittville, NY. She made countless visits to hospitals and Veteran Homes to bring some cheer and a smile to those who gave so much. She was active with the Forty and Eight auxiliary marching unit at her post. They were taught drills by local Army Reserve personnel at the time. The unit did quite well. And she was always proud that they did so. Rosemary cooked so many meals for the veterans that she carried it with her into later life. Whenever you went to Rosemary’s for chow, you needed a big cooler and many to go containers just to take your share of the leftovers. She divided everything to the ounce and you had to make sure she kept a little for herself. She loved her country but, took a special pride in being Irish. Erin go Bragh! She was a hard working woman who was tireless in her efforts no matter what the task. Even in her later years she could do more jobs with a walker than most anyone. 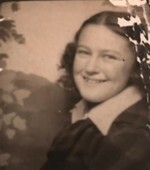 In addition to her parents and husband, Rosemary was predeceased by her brother, John M Nesius; her sisters, Gertrude Sciortino and Marion Pflanz; her brother and sister-in-law, Fred and Dorothy (Dot) Nesius; her granddaughter Terra Star Siminski; and daughter-in-law, Shelly E Siminski (another advocate for veterans). She is survived by her sons, Raymond Siminski (devoted) and Robert Siminski; her daughter, Mary Siminski; her grandson Matthew Siminski; special friends Tom and Jeannie Bacon; good friend and confidante, Tom Lyman at VFW Post 8259, Stittville, NY; many nieces and nephews, as well as many cousins who the writer has never met. To send flowers to the family of Rosemary Nessius Methe, please visit our Heartfelt Sympathies Store.